We are working on a new reference card about Enterprise Integration Patterns with Apache Camel. can create those beautiful cards that DZone have published. 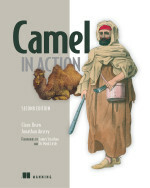 Im in the middle of reaching out to reviewers for the Apache Camel Refcard. Could you forward this draft information below to the Camel folks over there please? I really appreciate your time. As a token of appreciation, every commenter will be entered to a monthly drawing of their choice of free tech books, gifts and refcardz. Submit your comments now for your chance to win (winners selected monthly). See our refcardz collection here. and you're interested in writing a refcard, please click here and we'll contact you to discuss the opportunity. Is your bookstore shopable outside the US?